Harajuku girl sporting a pixie cut and chic streetwear style with resale outfit and red patent leather boots. 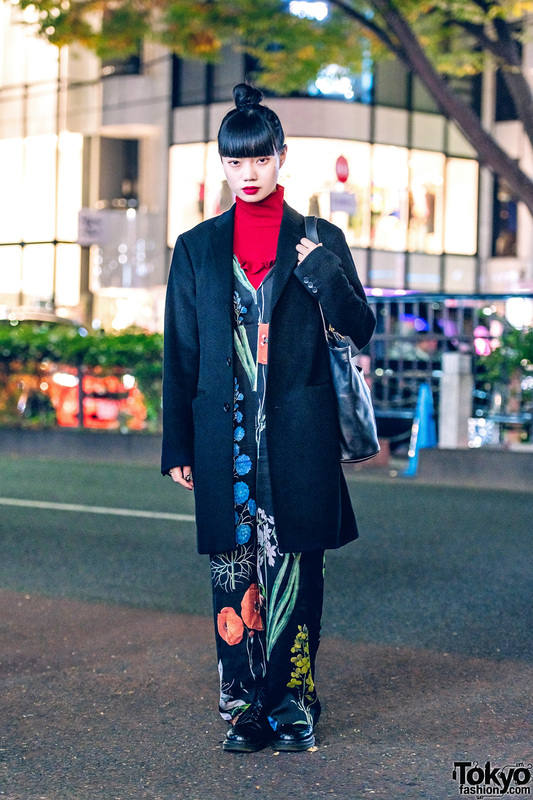 Nylon Japan blogger sporting a chic womenswear street style with floral print jumpsuit, leather boots, turtleneck, long coat and leather tote. 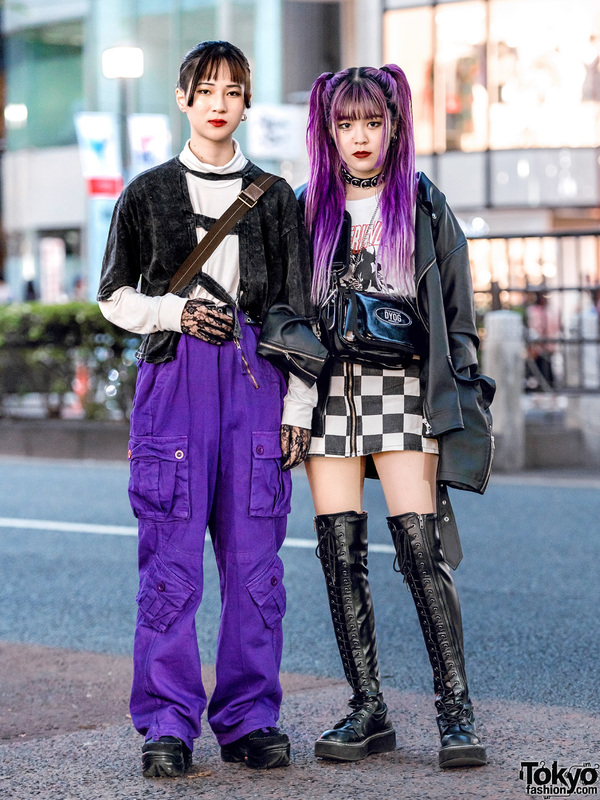 Japanese teenagers with purple and black street styles in Harajuku. 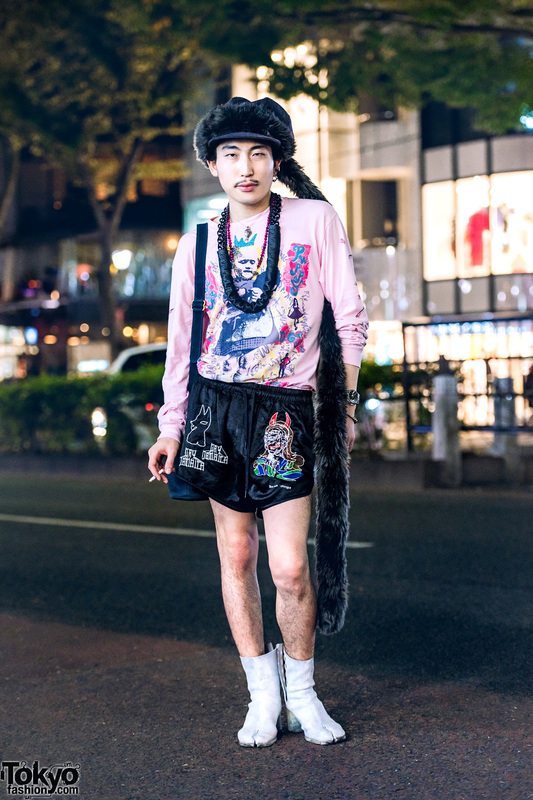 Japanese students in colorful streetwear while out and about in Harajuku.